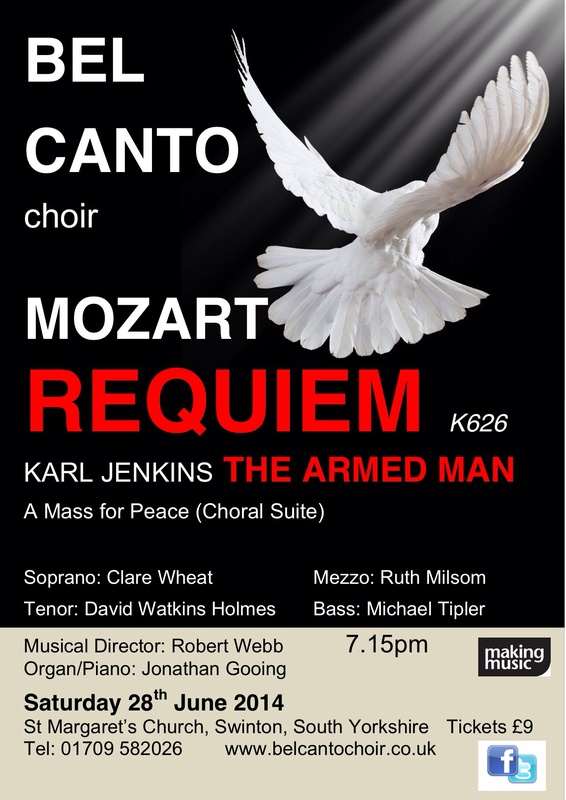 What a wonderful weekend of superb music and camerarderie as our 2013/2014 season came to a close with a very moving performance of Jenkins The Armed Man and Mozart Requiem which was well received by an appreciative audience. Huge thanks to Robert and Jonathan who are an inspiration to us all, we are very fortunate to have two such talented musicians who work so hard with us all year. Last night’s end of season buffet at Manvers Arms was a lovely way to reflect on another successful year and catch up with holiday plans. It all begins again in September – new members welcome.